We find that planning summer birthday parties across Metro Vancouver is usually a breeze given our access to hundreds of beautiful parks & beaches. But with colder temperatures and unpredictable weather in the winter (is that rain, no maybe it’s snow?! ), planning birthday parties for kids can be extra challenging. 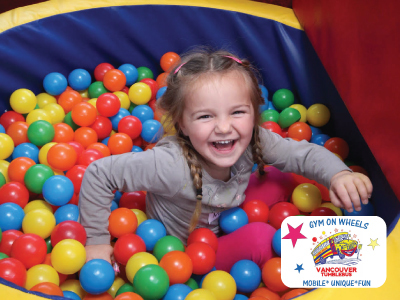 Luckily for us, Metro Vancouver is full of businesses that offer great indoor party options for busy parents who are looking for help planning & hosting healthy, active, educational birthday parties for their kids in the winter and all year long. 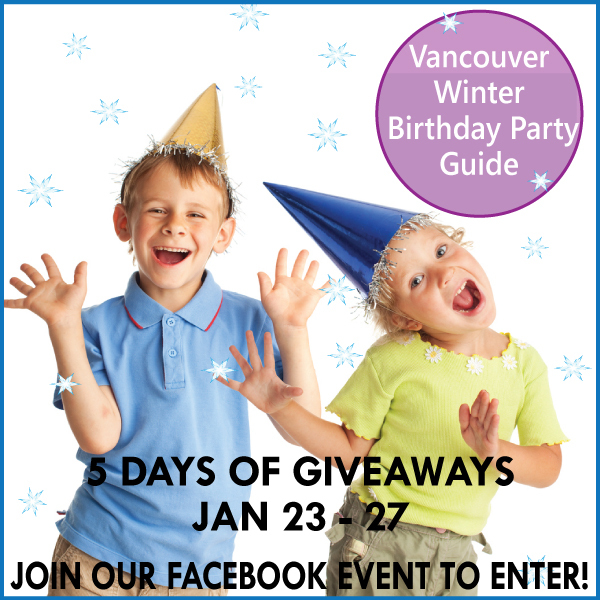 We have rounded up some of our absolute favourites in our annual Vancouver Winter Birthday Party Guide below, and we’re also giving away birthday party packages from each business in our 2017 Healthy Family Expo Facebook Event from January 23-27, 2017. To ENTER the giveaways just visit our Healthy Family Expo 2017 Facebook Event and click “GOING”. Then watch for the giveaway posts between January 23-27. Entry requirements will appear in each post. Good luck everyone! Why They’re Awesome: Sweet Tooth Cakery is a 100% gluten-free boutique bakeshop in North Vancouver that specializes in hand-crafted, artisan cakes, cupcakes, cookies, pies, breads and so much more. All of the products are made from scratch using the freshest, local ingredients whenever available. This amazing bakery also offers dairy-free, egg-free and vegan options to suit all dietary needs. The Sweet Tooth Cakery prides itself on baking cakes and sweets that are as tasty and moist, if not more so, than those made with wheat & gluten based flours. Gotta love it! Pricing: Bronze Package starts at $135 + GST for up to 8 children. Why They’re Awesome: Kidtropolis throws unforgettable birthday parties! All you need to do is bring the cake and leave the rest to them. From their massive pretend city complete with post office, restaurants, air plane, and veterinary office with endless costumes and props, to their giant tree house & slide, your child will have fun using their imagination. They also offer the interactive Beam system that allows your child to move and flow with a sensorial computer game. 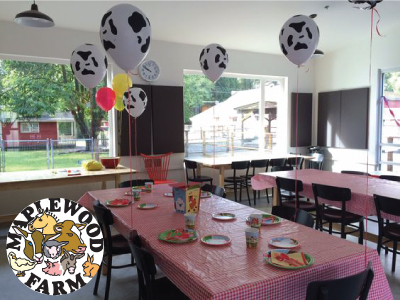 They have birthday party packages options suitable for any party size, and healthy catering options to feed even the pickiest of young eaters! What’s Included: Unlimited time in Kidtropolis play space, use of a party room for 2 hours, party host to assist with event, set up & clean up, table cloths, cutlery, napkins, plates, cake cutting knife. Food must be catered by Kidtropolis, but outside cakes may be brought in. 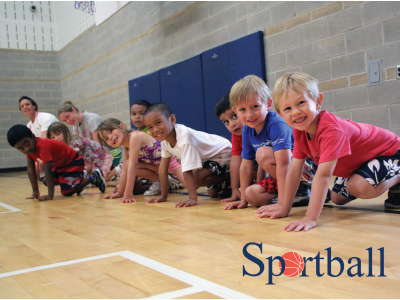 Why They’re Awesome: Sportball offers high-energy, action-packed birthday parties! Kids enjoy a variety of sports and supervised games in a fun, structured and safe environment. Party packages that include gym space are available or book at a venue of your choice. The kids will need to catch their breath before they blow out their candles! Party Locations: The Tumblebus comes right to your door or any other place of your choice. Why They’re Awesome: They are the only mobile Fun & Fitness birthday party option that caters to multi-ages. Say goodbye to schlepping! They come right to your door or meet you at any other place of your choice. They entertain and supervise the little ones so you can RELAX. Two energetic instructors lead the kids through fitness/tumbling activities, age appropriate games, lively music and more! The kids jump for joy when they see the Tumblebus coming down the street and have tons of fun on the monkey bars, balance beam, incline, rings, trampoline, ball pit slide and the ever so popular ZIPLINE. The Tumblebus comes rain, snow or shine, and the bus is heated in the winter and air conditioned in the summer. What’s Included: Basic package includes up to 12 kids for 1 hour, 2 instructors, t-shirt, Tumblebus medal & certificate & ceremony for birthday child. Optional add-ons include face painting, balloon twisting and princess or hero of your choice. 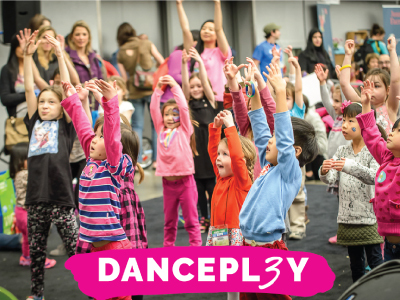 Why They’re Awesome: You provide the space, DANCEPL3Y provides the dance party! Their highly engaging, fun, playful instructors will bring popular music and get everyone at the party moving to music that they know and love. If your child has a favourite song (or songs), just let your instructor know ahead of time! Ideal dance times are 30-45 minutes for ages 3-7, and 60 minutes for ages 8 and older. Instructors stay for at least 90 minutes to help with cake cutting, or any other games you may have planned and to provide the background music. What’s Included: Highly qualified, fun, dance instructors for a 90 minute party, including 30-60 minutes of dance party fun and assistance with cake cutting and other refreshment. Why They’re Awesome: The Vancouver Aquarium has everything to throw the perfect party for kids. They even have clowns. Well actually clownfish. Along with admission to the Aquarium for the whole day, you’ll get to touch marine invertebrates like squishy sea cucumbers, sticky anemones and prickly sea urchins in their Wet Lab before meeting an Aquarist behind the scenes for a visit through their secret Jellyfish hallway. 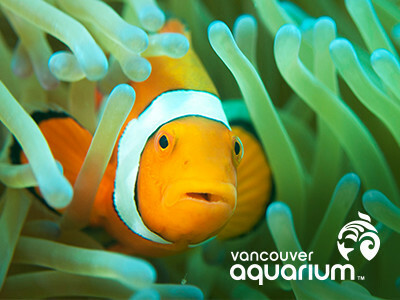 As an added bonus, the birthday child will be named an Honourary Aquarist and will get to feed their fish in the two-storey Strait of Georgia in Pacific Canada Pavilion, one of the Aquarium’s largest exhibits. To end the amazing experience you will have cake and refreshments in your own private decorated party room! What’s Included: Fully decorated private party room, chocolate or vanilla cake, fruit punch, coffee, tea, visit to interactive wet lab, and a gift certificate for birthday child to buy a gift in the gift shop. Why They’re Awesome: Kids love to pretend to be chefs and now they can do it in a real bakery setting for their birthday party celebration! Parents can rest assured that the cupcakes are all natural with no artificial flavours or colours. Gluten free cupcakes are baked daily in limited quantities & the facility is peanut & nut free! What’s Included: All birthday parties include a paper chef hat for each child to keep, a mini bakery tour, a cupcake box for each child to decorate & take as a goody bag, a mini lesson in how to ice & make fondant, time to decorate 2 cupcakes, and tea party time to enjoy one of their creations with juice. Why They’re Awesome: Climb Base5 has been a long time fixture and promoter of the Metro Vancouver Climbing community. Their mission is to deliver quality programs for beginners to advanced climbers and provide a uniquely creative climbing experience. 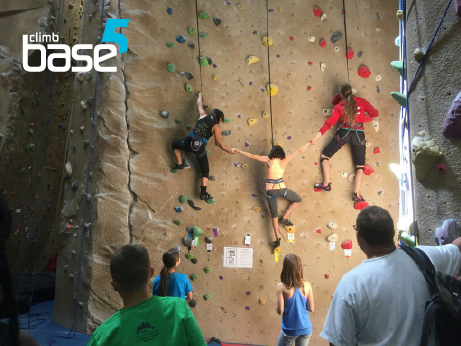 With over 16000 square feet of climbing space, a 1000 square foot “Tsunami Wall” for bouldering, and custom programs for kids, groups and adults, Climb Base5 is committed to educating, inspiring and connecting people to have a healthy lifestyle. 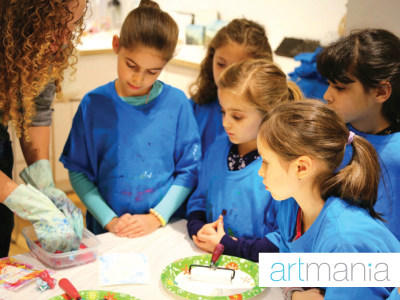 Their friendly and enthusiastic staff are always ready to make birthday parties ROCK! They manage the ropes and provide movement coaching while you take your party to the next level. After some renovations this winter, their party room will re-open for parties as of March 1st, 2017. 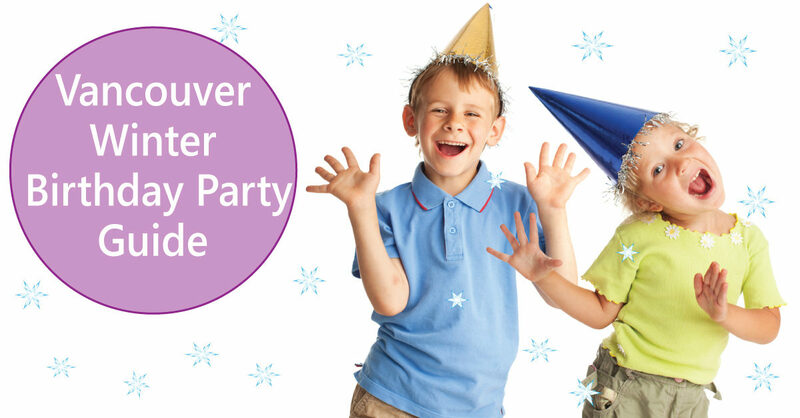 Just in time for some active, indoor fun for your child’s winter birthday! 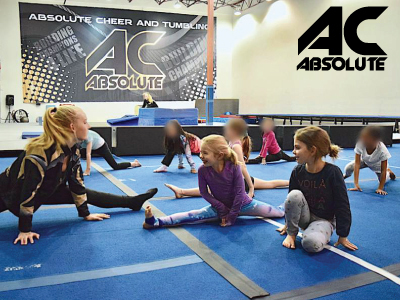 Why They’re Awesome: The Absolute Gym is the best place in the Lower Mainland to host a fun cheer or tumbling party. Kids have a blast tumbling, jumping, dancing, acrobatic maneuvers & stunt work on their gymnastics trampolines, equipment, and bouncy floors. Their large facility accommodates birthday parties for children and teens of all ages. Parties can be booked most weekends (Fri, Sat, Sun), catered or non-catered options are available, and booking is easy as 1-2-3! What’s Included: 1.5 hours of games & activities led by highly trained Absolute Gym staff, followed by 30 minutes in their party room for snacks, food and presents. Catered party option includes juice boxes, pizza, chips, plates, napkins, set-up and clean-up! Pricing: Starts at $220 + GST for up to 10 children without food; Starts at $280 + GST for up to 10 children catered.